In a significant development, the Supreme Court today set aside the bail granted by Patna High Court on September 7 to gangster-turned RJD politician Mohd Shahabuddin and ordered that he be taken into custody forthwith. Quashing the bail, a bench of justice P C Ghosh and justice Amitava Roy said : "we have discussed everything. We have set aside the High Court order". "Consequential steps be taken immediately by the state. The trial in the case may be concluded as early as possible". Petitions challenging the bail was filed by activist lawyer Prashant Bhushan representing Chandrakeshwar Prasad of Siwan, whose three sons were murdered allegedly at the behest of Shahabuddin, and the Bihar government. 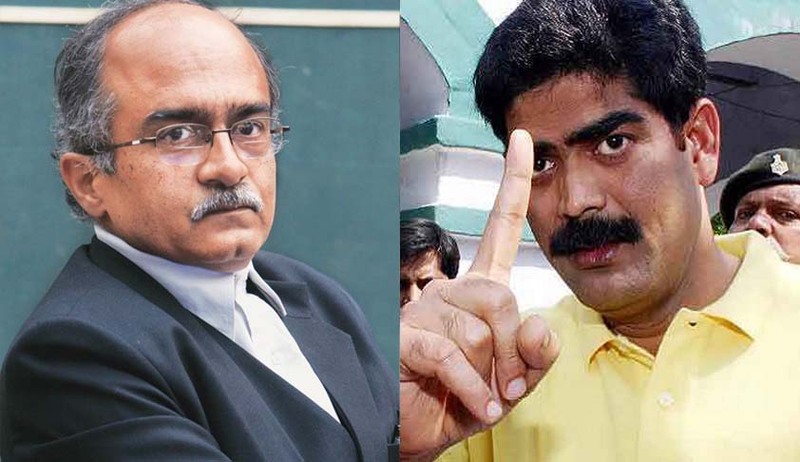 It is to be noted that vehemently pleading against cancellation of bail, Shahabuddin’s lawyer Shekhar Naphade yesterday told the court that though cognisance of the case was taken on February 25, 2015, he had not been served the chargesheet till date — a mandatory requirement under the criminal law. Shifting Shahabuddin from Siwan to Bhagalpur Central Jail had also caused the delay, he said adding "It is a conscious attempt on their (Bihar government) part that trial should not proceed. The moment the trial starts it will not stand as there is no evidence of alleged conspiracy against me," Naphade told the court.